Shamrock isn’t just any old piece of clover: it’s three-leafed. Tradition holds that Saint Patrick used the trefoil to teach the Trinity. He’d have no luck with the four-leaf clover on your leprechaun hat. Irish Car Bomb isn’t a cute name for a drink or a cupcake. Cut that shite out. Those of us that have lived their lives punctuated by actual bombs aren’t giggling along with you. 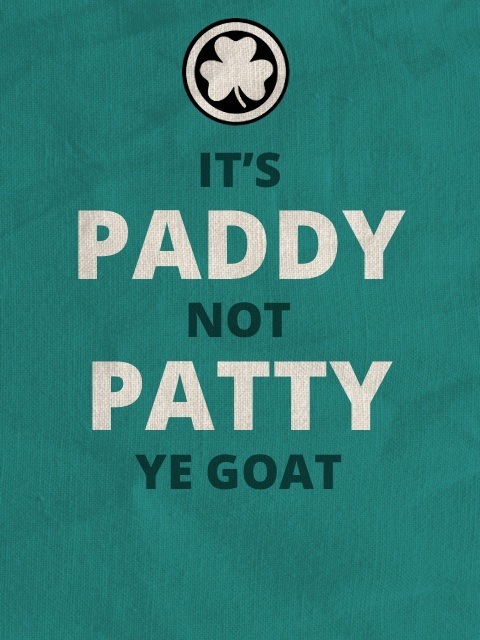 Paddy, Mick, and Tadhg have been used as slurs for centuries, aye, but they are still people’s names. However stereotypical it may be, it isn’t a slur to call you by your actual name.